Twilio has just announced that its platform is serving a huge majority of the American population. Known for being an Internet telephony platform in the cloud, Twilio has amassed a huge following of developers in its short four-year history. CEO and co-founder Jeff Lawson said on stage at its second annual Twilio conference that the service has over 150,000 developers using the platform and that applications developed on top of it have touched 150 million phone numbers, equating to 70% of American adults. As it appears, developers and companies are super excited to leverage Twilio’s platform to help make their users and customers happy. The theme of this year’s conference centers around the “Doers”, meaning it’s focused on the people creating some great things with the platform. Lawson highlighted a few examples while on stage like Code for America, Authy, and many others. The popularity of the service is highlighted by the fact that just a year ago, the conference had 350 attendees — this year, there are over 1,000 participating. 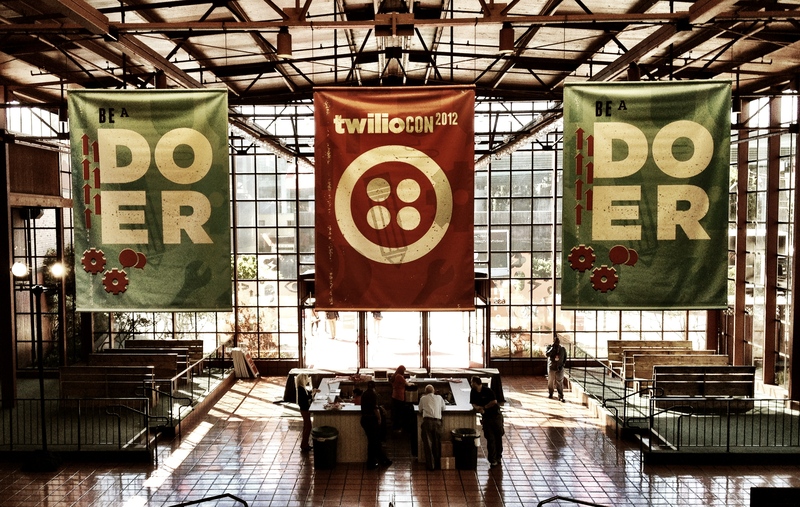 The number of developers using Twilio have also skyrocketed over the past several years, with 15,000 in 2010, 50,000 in 2011, and now 150,000 this year.